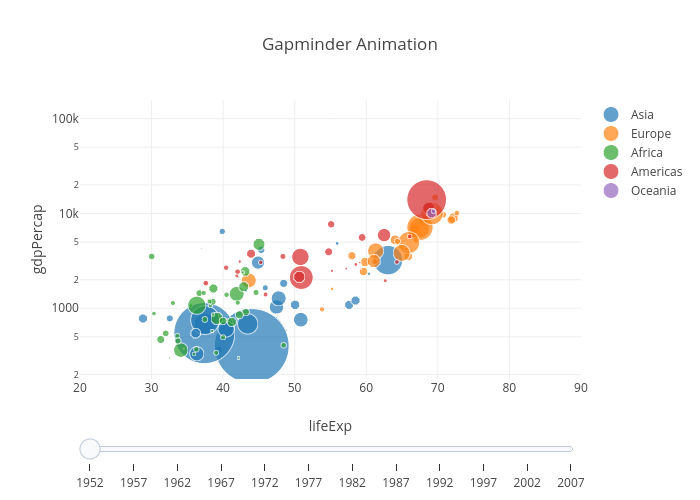 Plotly2_demo's interactive graph and data of "Gapminder Animation" is a scatter chart, showing gdpPercap; with lifeExp in the x-axis and gdpPercap in the y-axis.. The x-axis shows values from 20 to 90. The y-axis shows values from 2.254045081589488 to 5.196555456217384.